Last month, when Motorola announced the Moto E5 Plus (alongside all its other new Android Oreo smartphones), it said that the handset would cost €169 in Europe. Thus, we were expecting the phone to be priced at under $200 in the US. Unfortunately, that's not the case. Sprint - the only carrier to offer the Moto E5 Plus to postpaid customers - is getting ready to start selling the new phone at a pretty high price. More exactly, you'll have to pay $12 per month for 24 months to own the E5 Plus - that's a total of $288. For folks wanting to buy the handset outright, the price is even higher: $329. The new device will also be available at $12 per month for just 18 months on Sprint Flex Lease, but this means you’re not actually owning the phone and you have to return it when the lease period ends. 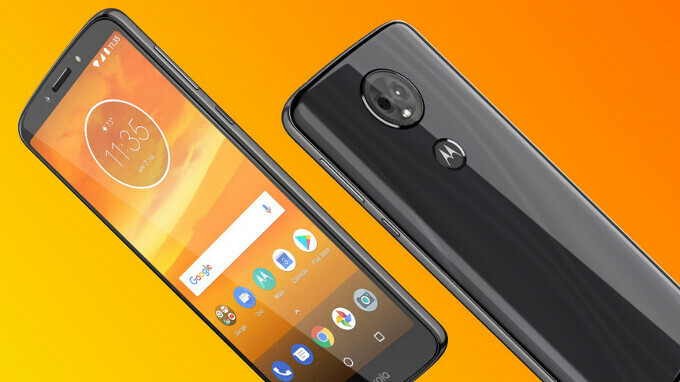 The official Moto E5 Plus page that's found at Motorola's website shows that the smartphone can already be bought at Sprint. However, it doesn't look like the carrier is accepting orders. Best Buy is listing Sprint's Moto E5 Plus on its website, too, but, again, orders are not yet available. With features like 3 GB of RAM, 32 GB of expandable internal memory, and a 5000 mAh battery, the Motorola Moto E5 Plus is certainly not a bad phone. However, its 6-inch screen only has a 720 x 1440 pixel resolution, while its processor is an unimpressive Snapdragon 435, so a price of around $300 doesn't make much sense. 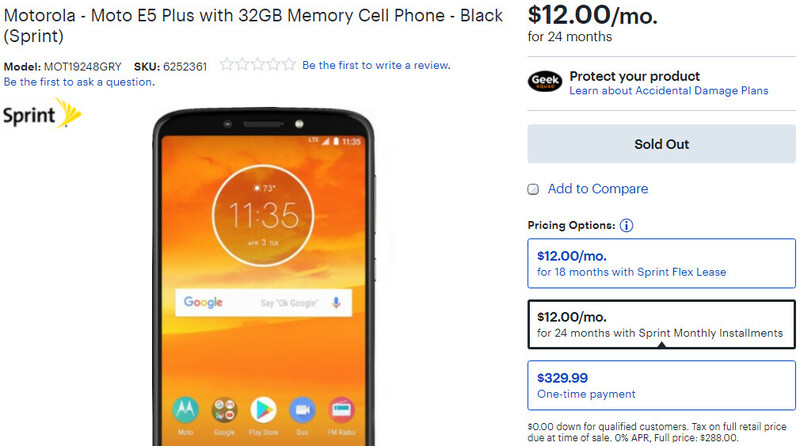 For comparison, Verizon Wireless is selling the superior Motorola Moto G6 for only $240. Maybe Sprint simply likes to overcharge for smartphones, as it's doing the same thing with the LG G7 ThinQ? We don't know. This is not unusual. (Not defending it at all.) I can currently buy the Motorola Moto E4 Plus on Boost (Owned by Sprint) for $129.99 (Less with upgrade or port or in big box stores.) But on Sprint - it's $240 - $10/month!!! So I can safely assume that in the prepaid world - Boost, etc... it will be $149.99 probably?